Sometimes a quick getaway is just the thing you need. 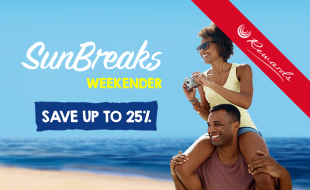 Whether you are planning a short family trip, a romantic break or a spontaneous weekend away with the girls, you can enjoy up to 25% off your stay with the SunBreaks Weekender offer. Non-rewards members can save 15%. With 2 kids under 18 staying and eating breakfast free when sharing with 2 adults, you can make this an affordable fun-filled getaway! The SunBreaks Weekender promotion is only valid for weekend stays. Book now by selecting your travel dates, i.e. Friday, Saturday or Sunday, to take advantage of the SunBreaks Weekender rate. We have a wide range of hotels to choose from in key destinations. View the featured hotels below and click on ‘view all rates’ to see all the participating hotels in each region. 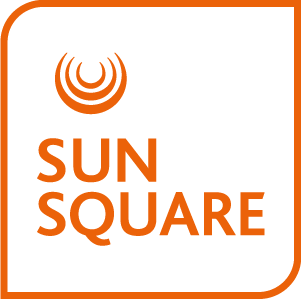 Tsogo Sun Gaming Rewards Members and non-rewards members can join here to qualify for the full discount. Tsogo Sun Hotels Rewards Members please sign in to get the full discount. Per room per night, including breakfast for 2 adults sharing.